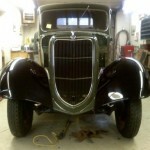 Wrapping up the 1935 Ford Truck! 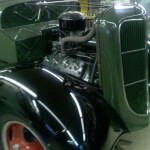 It has been a month since our last update on this 1935 Ford Ton and a Half Pickup. 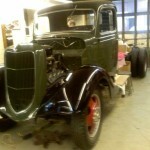 The truck is really starting to come together. Almost all of the sheet metal work is complete. The front fenders have been cleaned up, painted, and reinstalled. The team should be wrapping up this project shortly. 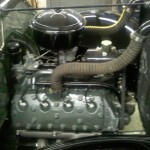 Check out these pictures of our progress.